I thought I would create a post on all the places I recommend for breakfast. Brighton has so many great places and I could eat out for breakfast everyday, but I whittled it to these four for now, that's not to say I won't do another breakfast edition one day, but this is for anyone that comes to this wonderful city and ever needs foodie recommendations! 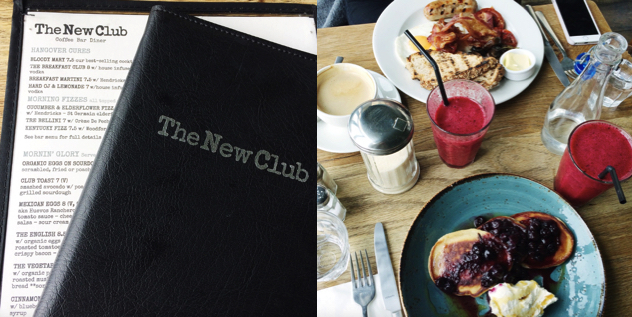 The New Club: There is nothing I prefer more than going out for breakfast, it beats the bog standard cereal or toast any day and we are not short of options in Brighton. The New Club does not lie when they say they help beat that hangover as my friend had 'The English' and she said it hit the spot! The pancakes were divine as well the blueberries gave it that sour tang to counter act the sweet taste of maple syrup and the mixed berry juice went down an absolute treat! 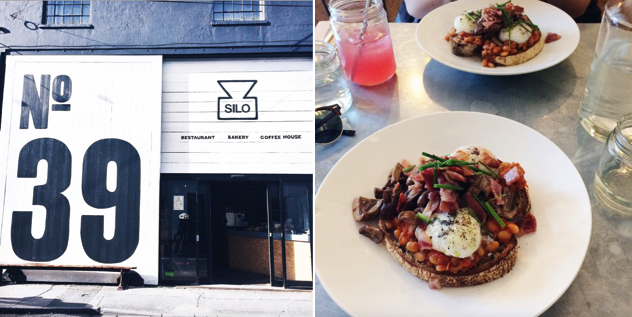 SILO: This restaurant has a zero waste thought process they have a compost that dispose of any waste meaning any scraps are turned into waste ready to be used again, even the interior is made from up cycling materials They have a brunch and dinner menu all of which is rather healthy. We went for the sour dough, beans, eggs, mushrooms and bacon although you can have the option of seaweed instead of bacon and it was delicious! My friend even got the cordial of the day which was delicious! I gigi: A friend recommended I visit here a while ago and knowing that it did stunning homeware (I'm obsessed, even though I don't own my own home) and they were highly spoken about food wise I asked my good friend Agnes, who I drag along to most food places I want to try out or blog about and we were both like children in a toy shop. The homeware was right up our street and we quickly ventured upstairs to try out the food. 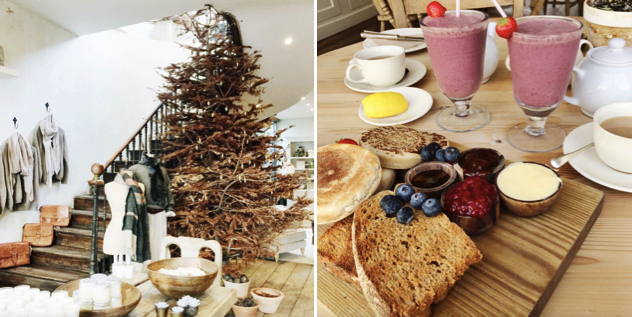 We both got acai smoothies and then a board of toast, muffins and crumpets and selection of spreads as well as some tea each and it went down an absolute treat. We sat in the big bay window, people watching and nattering away and it was lovely, it felt just like I was sitting in my own kitchen, I highly recommend visiting here for breakfast one morning you will not be disappointed! 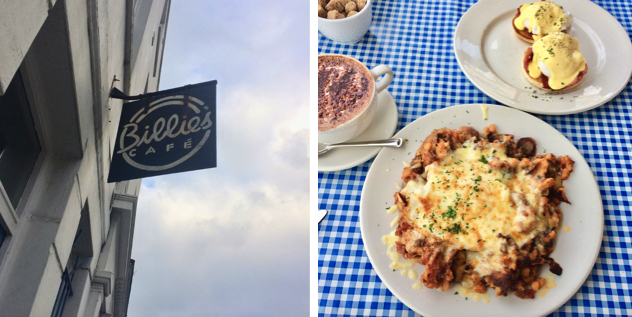 Billie's: Hidden away behind the busy Western Road is Billie's, I've seen so many reviews on this place and had to check it out and I will totally be going back! Eggs Benedict is always a winner with my friend and she said it was superb, eggs cooked just the way she likes them! I went for Billie's famous hash, to me when I received it it instantly reminded me of a lasagne! it had everything, beans, mushroom, sausage, bacon all covered in cheese! It was delicious, if a little strange. In all honesty when we went I was rather ill so couldn't really taste all the flavours and wished I'd gone for your bog standard full english, but we have vowed to come back because it was just such a lovely little place to brunch and the food was still perfect! those look so delicious! i love breakfast and i couldn't start the day without it. i'd love to try them all and hope i can visit England soon.